There are many nonfiction books that need an index to be complete. 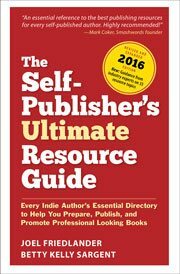 Although it seems that more books are published without indexes every year, savvy self-publishers know that including an index is one way they can make their print books stand out. A proper index can’t be produced automatically by your word processing software. An index is constructed from the concepts behind the terms and people cited within your book. For that you need an indexer, a skilled professional who understands how readers will use this customized “search” section of your book. By cross-referencing other, related topics, the index achieves an integration of citations and underlying ideas that’s hard to replicate, even in the age of Google. When it comes time to format your index, you may find it challenging. The index for a typical nonfiction book can look bewildering, with its entries and subentries, each with its own indentation plan. In this article I’m going to leave aside the editorial concerns of what’s included or not included in an index, how the entries are cross referenced, and all similar concerns. Instead we’ll look at the typographic requirements and I’ll show you from the inside how I create a standard index in Adobe InDesign. Once we get the file from your indexer into InDesign, we’ll need to format each of these elements to complete the index. Typically the file for your index will come from the indexer with formatting information included, otherwise you would have no way to tell which are main entries and which are subentries. Indexers use dedicated programs such as Cindex indexing software. Depending on the software used, the format the file was exported to, and whatever your personal workflow is, you’re going to need to assign paragraph styles to the various index elements and levels. You might want to do this through InDesign’s Import Options dialog (check the box for “Show Import Options” when you go to Place the file) or however you usually do this with your text files. InDesign gives you a lot of choices including format-dependent searches and the aforementioned Import Options. Some people prefer manual formatting. The important thing is to make sure you are mapping your paragraph styles accurately to the styles or tags included in the index file. Probably the most confusing part of formatting an index is the way the indentation works. All entries will use a hanging indent where the first line of the entry is longer than subsequent lines, which are more deeply indented. That depends on how many levels of entries you have. In a simple index with only one level (all entries are main entries) this is pretty easy to accomplish. For reasons we’ll discover in a minute, I use a fairly small indent, usually 9 points (.125 inches, usually known as 1/8 inch). Okay, so how about a 2-level index? The second level entries have to be indented so they appear underneath and obviously subsidiary to the main entries. We have to take this into account when we set the indentation for our main entries, to keep readers from getting confused. The aim here would be that main entries are at the left margin, subentries are indented slightly from the left margin, and all turnover lines for both levels would indent to the same point. So here’s how that would look, taking both levels into account. alpha navigators—you can get creative here if you like, use your display typeface for these stand-alone letters, add a rule above or below to more clearly point to the alphabetical breaks, or simply add a little space to separate one section of entries from another. Make sure you set your “Keep” options correctly so this element doesn’t separate from at least the first entry beneath it. Here are the settings I use for 1-, 2-, and 3-level indexes. Typically type is set at 8 or 9 point with 1.5 or 2 points of leading (e.g. 8.5/10 or 9/10.5). These are all set in the Paragraph Style Options/Indents and Spacing dialog box. Formatting an index can be a complex piece of work, but here’s a pro tip that should help. Because InDesign allows us to copy Paragraph Styles from one document to another, you don’t have to keep repeating all these calculations. Instead, when you start a new book, just copy part of an existing index into your new book file and all the styles will copy along with the text. You can then adjust the fonts to match the current book and you’ll be good to go right away. And here’s another pro tip: create a library of styles you use often, either with InDesign’s Library feature, or by simply creating an InDesign document and storing them there for future use. If you have any questions about this process, please let me know in the comments. (These samples are all from Jon Frederickson’s Co-Creating Change. Hi. How does one get a word document list of index words imported into inDesign and pick up the proper page numbers? Book is already typeset and I was provided with a list of words in Word, no page numbers. I admit the indented terms is a bit tricky when establishing the index, but it is very import for the index and very hepful to the reader. I use a tool called “PDF Index Generator” (http://www.pdfindexgenerator.com) to handle my indexes. It handles the indented content in a simple way. I wish you could write in more details about the cross references. Cross references are important, and i think it needs more explanation. Good morning Joel. Just read your article on How to Index and would like written permission to reprint it in our San Diego Writers and Publishers Newsletter. I am the editor. Please let me know if this is okay with you. Oh boy, I don’t do many indexes, but when I do this is where I’m headed. Thank you so much for giving us such a comprehensive guide to designing a proper index! Note: copying already formatted paragraph styles is a great timesaver for all areas of book design. You can change the fonts and spacing, but if you’ve got all the parts organized from the get-go…much easier. Thanks for the reminder! Glad to help, Elizabeth. I realize many people don’t handle these types of complex indexes, but I’ve been wanting to write this for quite a while and glad to post it so others don’t have to struggle to figure this all out.